Paul Jordan :: CHITICHANT WINS HER FIRST RACE AT HER SECOND GO! 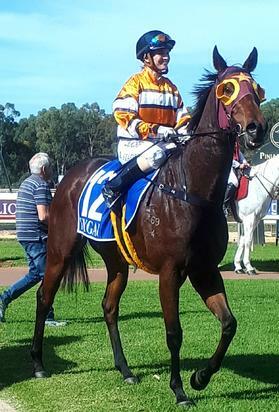 Citichant won her maiden race at her second attempt after throwing poor Lisa in the first 200m of a race two weeks before. She raced boldly showing good speed and pulled away for a comfortable win. Congratulations to Lisa Staples on riding a terrific race on a horse that has been a bit unpredictable. The photo is of Lisa bringing Citichant back to scale after the win.